Contacts backup for Android is an automated operation related to Google account, but what can you do if you need for saving your contacts to somewhere else than Google Drive backup storage? Yes, if you are really needed for it, we will do it for you! A contact backup app for Handy Backup will come soon! Working with Handy Backup, you will select your contacts backup storage between many cool options, from a local drive on your computer to a dedicated USB device to a network resource such as FTP or NAS to a cloud solution (including S3 and WebDAV clouds, OneDrive, Dropbox and Google Drive too)! You can trigger your contacts backup to start every time when you pull your Android device to a PC via the USB cable or slot (regardless of which slot you are using), or to run it at an exact time, with auto-running missed tasks. Handy Backup will do all contact backup actions automatically for you! The new plug-in will use the dedicated Google API for a contact backup app. This will allow all security measures provided by Google to save your Android contacts by the safest mode. In addition, you will have a lot of options to secure contacts backup additionally, from encryption to using secure storage! Advanced and flexible backup task system allowing backing up contacts along with other data. Extra backup settings including incremental, differential of mixed backup, time stamping etc. Easy task management system allowing task duplication, modification and controlling. Simplified recovery system and preserving native data format for contacts backup. 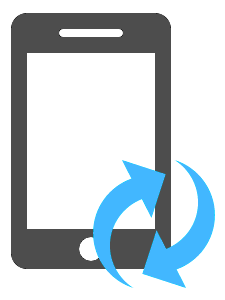 Get Handy Backup Standard - a reliable mobile contacts backup software! Free 30-days trial version! Why You Can Trust Handy Backup for Android Contacts Backup? 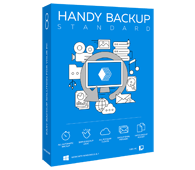 Handy Backup always uses appropriate API solutions to transfer any data type to secure storage. It utilizes no “hacking” or “unlocking” method that gives unsafety and may even cause security problems for your trusted Android device. With Handy Backup, you can always guarantee “legal” data access! You can use different commercial clouds (such as Dropbox, OneDrive or even Amazon S3) to backup contacts from your Android, because Handy Backup always utilizes secured API-driven access to these clouds. By such way, you will always have your contact list ready to upload from everywhere! Sorry, but this is impossible nowadays! Instead, a new feature will use a protected API for accessing and saving all contact backup data. This method will require no jailbreak or installing extra software onto your mobile device, and will base only upon data exchange strategies approved by Google and Android! Interested in My Contacts Backup Feature? Do not hesitate to tell us about your interest! Please send us a letter with your description and opinions about a new feature! Please enter your namePlease enter a valid e-mail addressPlease enter a valid phone or skip the stepPlease enter a message for our support teamAre you robot? Solve the captcha, please!Thank you for your feedback! Our support team will get in touch with you shortly.